Ananka's Diary: Where Did She Get That Cute Little Sweater? Where Did She Get That Cute Little Sweater? 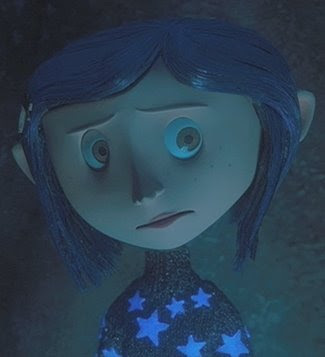 Admire Coraline's star-speckled sweater? Well here's where she got it . . .
erm...that was a long comment. sorry. i swear, it was an accident! she actually created the clothing for the stop-motion characters? I know! I knit,and it is hard to make even a regular sized sweater.I would not have enough patience for that though.I loved both the movie and the book.The movie over-exaggerated parts of the "other world".The book was very well written and I wish I could read his other books.Oh well.I loved the creepy parts of the movie even though I don't like scary movies. That's awesome! I LOVE CORALINE!!!!!!!!!! who agrees? I do that with toothpicks! wow hey UU tell her to make a monkey sweater, SO KWL!!!!!!!! Oh my gosh, that's so crazy. That one near the end had so much detail. i can't hardly stand to knit a potholder. i never watched Coraline, thought it looked ridiculas. i'm wiating for the second Night at the Museum. oh, and i LOVED the fashion walk in the video!!!!!!!!! Maxine: Hey I wear glasses, and I saw Coraline in 3D. I kept having to push the glasses up, though. I Love New York EVEN MORE! Why Don't These Things Happen to ME? Is This the Work of the British Irregulars?